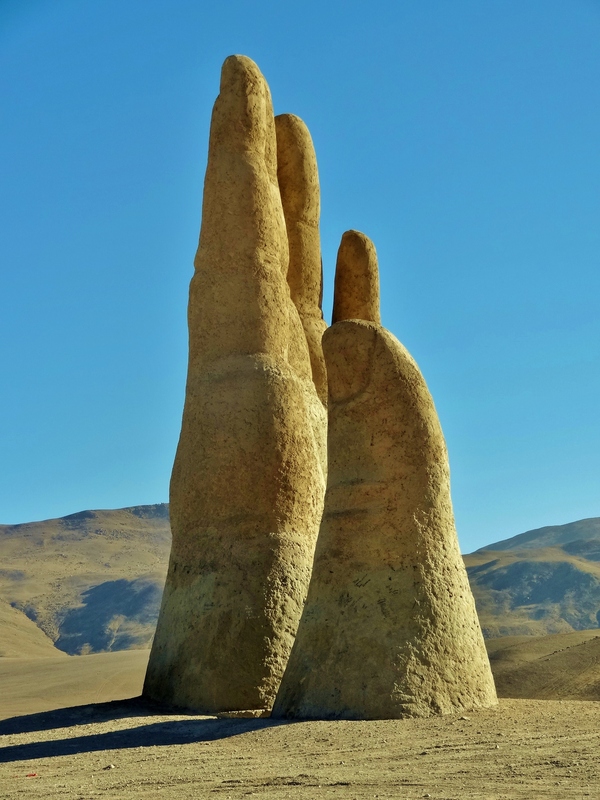 Somewhere in the Atacama Desert of Chile lies a surprising monument Mano del Desierto, or the Hand of the Desert. 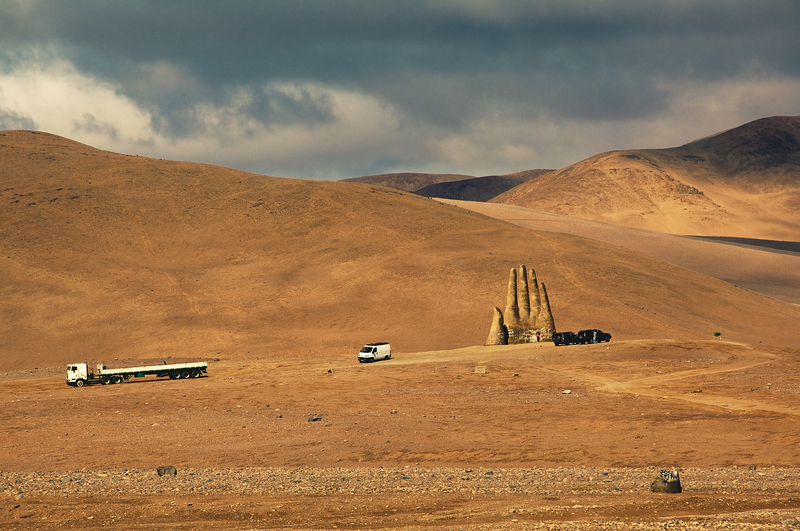 What initially seems to be a science-fiction item, is in fact a 36 feet high sculpture. 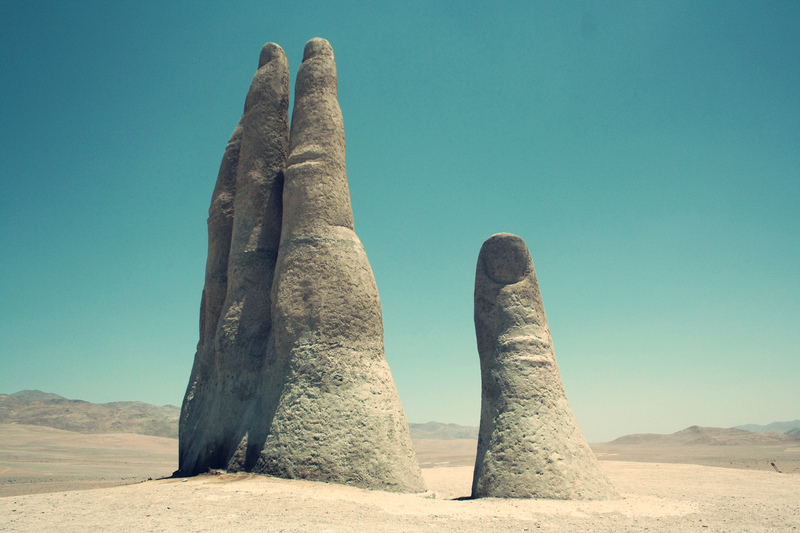 Mano del Desierto is a symbol of the contrasting ideas. It shows how small, vulnerable and helpless humans are. Creator of the sculpture is the Chilean artist Mario Irarrazabal. He is a well known artist in the domain of sculpture. Weird as they may seem, his works are acclaimed all over the globe due to their originality and the emotion they express. 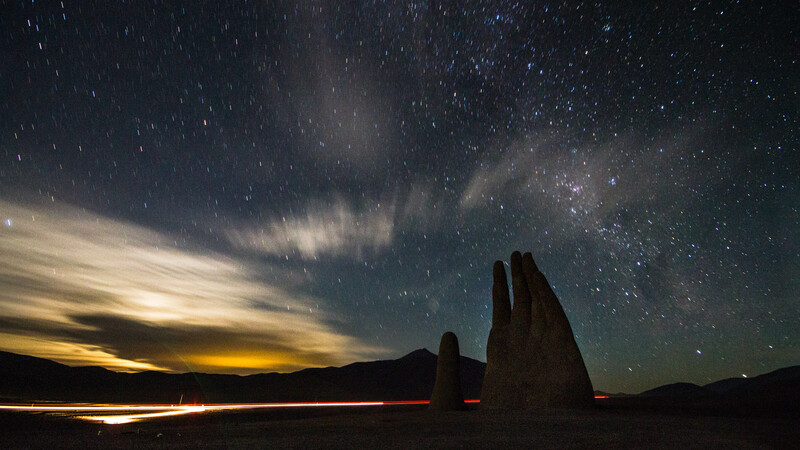 The closest town Antofagasta is 75 km away from this incredible monument. Even though there’s a long way until visitors can reach the sightseeing objective, Mano del Desierto is surprisingly popular and it attracts thousands of tourists every year. Although it was built over 20 years ago, back in 1992, and looks just as if it was made of sand, the sculpture is very resistant. The hand is made on a surface of iron and cement and the project was supported by a local organization “Corporacion Pro Antofagasta”. Mano del Desierto can be visited any time of the year by curious visitors, who are passionate about original artworks. Submitted by Hamid Bagha. Thank you.